Cancer is a very sensitive topic and many people aren’t comfortable talking about it. This is understandable as an ever-increasing number of people are seeing or experiencing the devastating effects it can have on a sufferer, and of course their family and friends. It is estimated that, in the UK, 1 in 3 people will get some form of cancer, and someone is diagnosed every 2 minutes now. That’s pretty scary and it’s a clear indication that cancer is a topic that we should be talking about. We experienced it first-hand when Jon was diagnosed with stage 3 stomach cancer. When we first heard the news, it was so surreal. It was that phone call in the middle of the night – the one that changes everything. Stage 3 means the cancer is in the outer lining of the stomach and has spread to the lymph nodes. Stage 4 means the cancer is really advanced and has spread to other body organs away from the stomach like the bones or the liver. There is no stage 5. The oncologists gave Jon a 20% chance of survival and it doesn’t take a betting man to tell you that those are pretty poor odds. Jon had surgery which removed half of his stomach along with the tumour. After a few bouts of chemotherapy and further scans, they found more cancer on his lymph nodes and spots on his liver. He then took a turn for the worse as his stomach filled with liquid and his skin turned yellow. When we got the news that the oncologists couldn’t do anything more to help him and didn’t expect him to live longer than a month, it was devastating. You never expect to find yourself in that position. We jumped on a plane, flew to New Zealand, and moved into Jane’s parent’s house to be with her family. It was probably one of the most intense and trying times of my life, so imagine what it was like for Jane and her family. Just when things seemed to be at their darkest, something happened. It was a little spark of hope, ignited by two amazing people who had once been in a similar position to the one we found ourselves in. These were people who were asking questions. People who had taken their own lives into their own hands and people who did not accept “go home and die” as a diagnosis. This seed of hope was the catalyst to Jon’s remarkable healing process. Believing there is hope and having the will to live is the first vital ingredient when it comes to battling cancer. Although hope may seem impossible when faced with a shocking diagnosis, without it you are in an even worse position. Then we started asking our own questions. Why does it happen? How does it happen? What steps can you take in order to help prevent it? Then we started to research those questions, which led to more questions. Looking for the answers to these questions has taken us on a marvellous journey and has opened up a whole new way of thinking that was right under our noses the whole time. The world we live in today is a far cry from the one our ancestors called home 120 years ago. They weren’t eating processed foods and they didn’t have an endless stream of refined sugar at their fingertips. The air was cleaner and the ozone was in good shape. The drinking water wasn’t contaminated with all types of chemicals and the vegetables weren’t sprayed or genetically modified. It was normal for animals to be fed proper food and free range wasn’t a luxury – that’s just how it was. They didn’t use chemical-based drugs to numb their pain or to change the chemical balance in their brains, and the jobs they worked hardly consumed their lives like some professions do today. Don’t get me wrong, there were problems, but cancer wasn’t a big one. In the world we live in we are exposed to endless amounts of man-made chemicals we have introduced into the environment and lifestyles. The air we breathe, the water we drink and the food we eat. 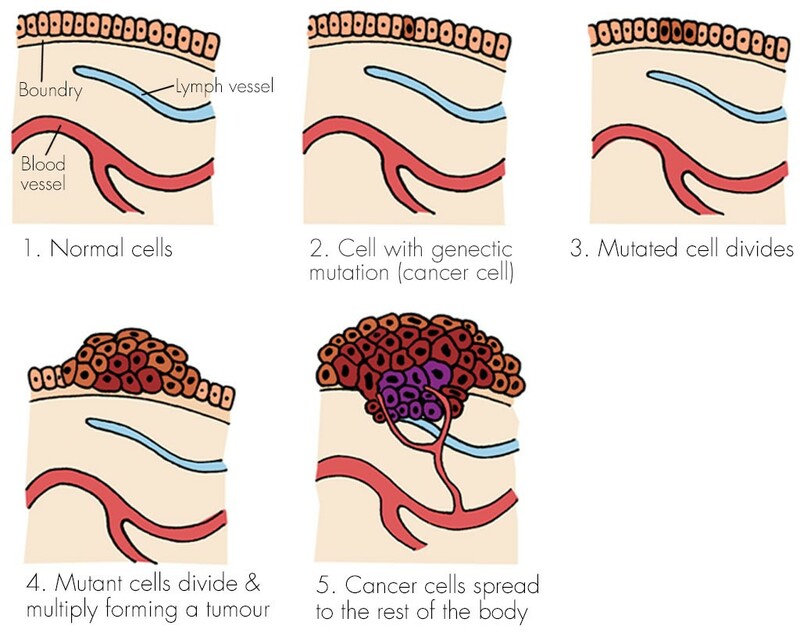 Although cancer can develop in virtually any of the body’s tissues, and each type of cancer has its unique features, the basic processes that happen to bring about cancer are quite similar in all forms of the disease. We know that cancer is a disease of molecules and genes, and we even know many of the molecules and genes involved. We know what the triggers are, and we also know different things we can do in order to protect ourselves and even fight off the disease. Our journey of self education has been so empowering that we thought: why does something bad need to happen first before you learn about this stuff? Why wait to be sick before you act? So we decided we wanted to share what we’ve learnt with as many people as possible with the hope that, in doing so, we might protect or help a few people along the way. Many people’s attitudes towards cancer and other serious illnesses are characterised by fear, denial and ignorance. People have a tendency to ignore the risks instead of finding out the facts and taking positive actions towards preventing these horrible diseases from affecting them and their families. We have learnt a lot along the way and we’re still learning every day. Our mission is to share our views and research with anyone who is interested. Remember, this is our journey and we don’t expect everyone to have the same experiences and we don’t claim to offer a universal solution. We just want to share the knowledge and ideas we’ve gained, as a way of giving something back. It’s our way of passing on that seed of hope that we discovered when we needed it most. We want to encourage people to ask their own questions and to take their own journeys.Your body is an amazing living thing and its important to understand how it works, what it needs and how to respect it. It’s vital to understand what the potential cancer causes are and what positive steps you can take to try prevent you and your family from contracting these modern diseases. Cell are amazing things. They are the smallest forms of life and are quite literally the building blocks of life. When scientists look for life on other planets, they look for single cell organisms. They look for one tiny living cell. Finding one means life on other planets. Biologically, we are nothing more than collections of living cells and what happens to our cells happens to us. A basic animal cell with it’s organselles (mini organs) all working together to keep it functioning at it’s peak. There are millions of different types of cells with different structures, sizes, and jobs to do in the body. Red blood cells carry oxygen in the body, white blood cells destroy invading organisms, and nerve cells send messages throughout the body by sending electric and chemical impulses. When some cells multiply they form tissue (like muscles). When different types of tissue come together, they become an organ (the heart for example). When a number of organs come together, they are called a system (the digestive system). Cells in the human body generally have the same basic structure. In the center of the cell is the nucleus, which is the control center, and this is where the cell’s DNA is kept. DNA is a chain of connected genes which contain the instructions for building and maintaining our bodies. Genes control how each cell functions, including how quickly it grows, how often it divides, and how long it lives. Almost every cell in a person’s body has exactly the same DNA in its nucleus and it is critical that, when that cell divides, the two new cells have an exact copy of the DNA that was in the old cell. If a cell divides with altered DNA, that’s the beginning of cell mutation, and that’s not a good thing. Cells, and DNA are very sensitive to their environment. DNA, even though it is the same in every cell, can be expressed in a number of different ways depending on the proteins in the cell. A stem cell is a cell that has the potential to become any type of cell. The environment the stem cell’s DNA is exposed to determines whether it becomes anything from a muscle cell to a bone cell, or even a fat cell. Even though the cells started out the same, their environment changed the way the DNA expressed itself. Studies show that cells exposed to a healthy environment stay healthy, and those exposed to a toxic environment become sick. Then, when the sick cells are exposed to a clean and nutritious environment they become healthy again. Our blood is the environment in which our cells live. Our blood feeds and bathes our cells. The toxins in our bloodstream have a direct effect on the wellbeing of our cells. Toxins can enter our blood from outside environments or through our modern lifestyles, or even as a result of our thoughts and emotions through chemicals and hormones being released from the brain. Each cell is its own special and wonderful, living thing and you are made up of trillions of them. We need to respect and look after each and every one of them. A normal cell is programmed to go through a cycle – growth, division and death. When a tissue or organ is fully grown, the cells making up that tissue or organ know when to stop dividing. When your skin gets damaged, the skin cells will start reproducing and dividing to repair the tissue, and when the injury is fully healed the cells know to stop. But a cancer cell is different from a normal cell. It has been reprogrammed to have the death button switched off so it doesn’t stop dividing. This non-stop cell division forms a malignant mass of tissue. A tumour. Tumours threaten a person’s life when their growth disrupts the tissues and organs needed for survival. Cancer is caused by changes to a cell’s DNA. On very few occasions it’s inherited from our parents through faulty genes, but it’s mostly caused by our modern lifestyles and the environments we live in. Substances and exposures that can change our DNA and lead to cancer are called carcinogens. Carcinogenesis quite literally means the ‘creation of cancer’. It is a process whereby a normal cell’s DNA is damaged or changed by the carcinogen so the cell becomes a mutant, cancer cell. So what are these carcinogens – these things that can change our DNA? What are the things that can cause cancer? Well there are thousands of well-documented carcinogenic situations we face every day and they fall into the chemical, radiation or viral category. Carcinogens come in the form of thousands of chemicals in our air, food, and water. Things like processed foods, food that has been genetically modified, over-the-counter medications, prescription drugs, party drugs, vaccines, tobacco, alcohol, fluoridated water, pesticides, herbicides, burnt toast, dust, asbestos, viruses, radiation, ultraviolet light. The list goes on. UV light will attack skin cells, tobacco smoke will target lung cells, contaminated water can affect many different cells because it enters our bloodstream. However, not all carcinogens lead to cancer, as they have different levels of cancer-causing potential. The risk of developing cancer depends on many factors, including how you are exposed to a carcinogen, the length and intensity of the exposure, the state of your immune system and your genetic makeup. For years people have just been focused on ‘finding a cure for cancer’ when, what they often don’t realise, is that there are so many things they can do on a daily basis to drastically reduce their risk of getting cancer. For example, you can start by staying away from the nasties we mentioned above. Try replacing them with the good things that your body needs to boost your immune system so it can protect you from carcinogens and keep your cells strong and healthy. Your immune system is made up of millions of cells, tissues and organs that protect you from all types of foreign invaders that shouldn’t be in or around your body. When bacteria, parasites, fungi, viruses and other nasties enter your body via your nose, mouth or eyes, in food, water, or air, or through sores or cracks on your skin, your immune system launches its defensive attack (the inflammatory response). White blood cells are able to engulf and destroy these abnormal cells, including cancer cells. It can also tell the difference between normal, healthy tissue and infected, mutated tissue, and then is able to mark and destroy the abnormality. Not only does your immune system fight off baddies, it also prevents your cells from deteriorating and mutating by protecting them from carcinogen attacks. Cancer cells are not introduced into the body from an outside source. They are abnormal cells that once made up the body’s normal tissues. Virtually all malignant tumours have a single ancestral cell that mutated and changed into a cancerous cell at some point. Hundreds of cancer cells are formed in the body every day but this is normally not a problem as a strong immune system is well-equipped to destroy these mutated cells. However, if your body is overrun with carcinogens, or your immune system is weak or preoccupied taking care of other bits of the body, then cancer cells can sometimes slip through unnoticed and begin to divide and multiply. This is when problems start. Simply put, there is a war going on inside your body every second of every day. Imagine your body is a country and there are baddies constantly attacking your country’s defences. If your army (your immune system) is strong it can protect the inhabitants (your organs) from these constant barrages. But if you don’t supply your army with the weapons it needs to fight off the baddies, or if there are too many baddies, they will overpower your army and break through your borders and plant their flags where they shouldn’t be. The inflammatory response is how your immune system recognises and defends itself against invasions from foreign proteins, viruses, fungi, bacteria, indigestible particles or exposures to toxins and chemicals. The word ‘inflammation’ comes from the Latin word “inflammo”, meaning “I ignite”. Blood vessels near the site of the inflammation dilate, increasing blood flow to the area. Gaps appear in the cell walls surrounding the infected area, allowing the larger cells of the blood (white blood cells or immune cells) to pass through. The increased blood flow allows the different cells that make up the immune system to congregate in force around the affected area and go to work. They will not leave until the job is done. Ideally, the inflammatory response should only last for as long as the infection exists. Once the infection is gone, the immunity cells move out of the area and everything should all go back to normal. Acute inflammation is short-lived, lasting only a few days. If the problem cannot be fixed and the inflammation continues, it is called chronic inflammation. Chronic inflammation can last weeks, months, or years. The problem with chronic inflammation is sometimes the inflammation causes more inflammation. It becomes a vicious circle that not only harms the surrounding tissue, but also results in longer exposure to the carcinogens associated with the inflammation which means a higher the risk of DNA mutations that lead to cancer cells forming and other diseases. Our diet plays a massive role in the strength of our immune system and how it behaves. It also has the ability to reduce chronic inflammation. So you can think of the food you eat as the weapons and fuel your army needs to keep the carcinogenic baddies at bay and your body running smoothly. By eating the right things you will keep your immune system well-nourished and supported, and it will be able to provide the defence you need to stay healthy. 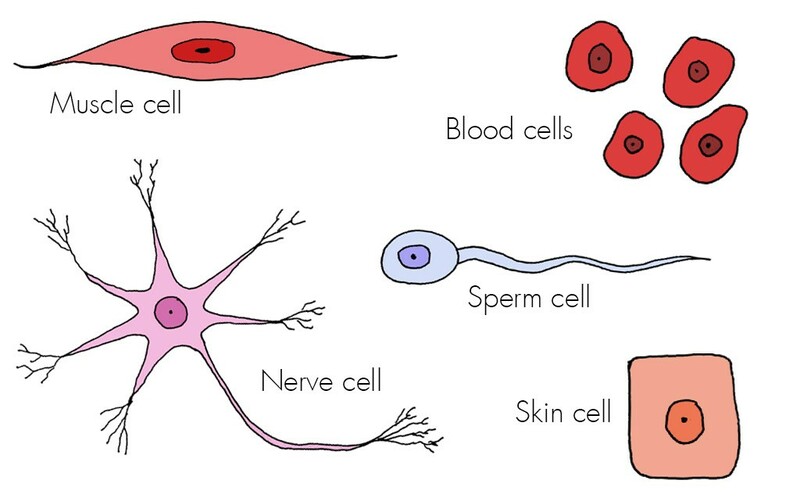 The human body is made up of many different types of cells. 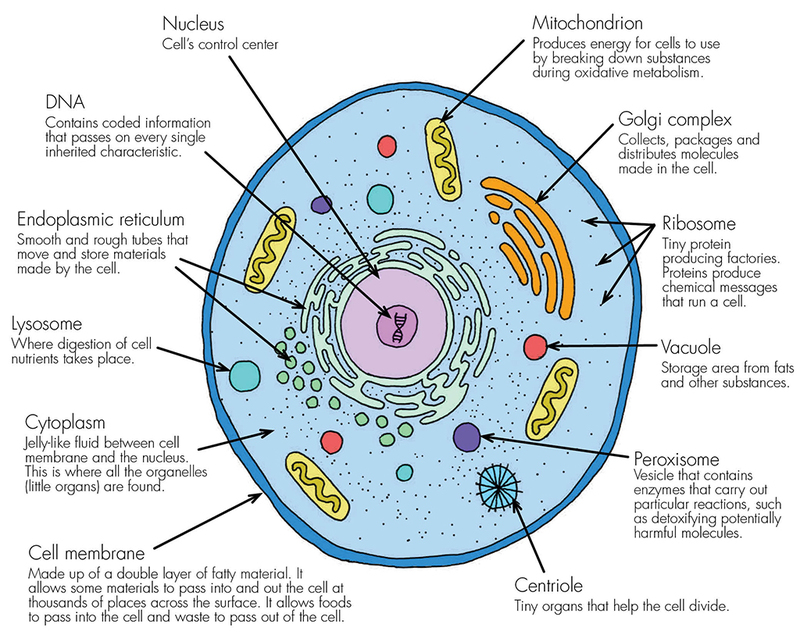 Cells are made up of many different types of molecules. Molecules are made up of different types of atoms. Atoms are orbited by tiny particles called electrons that are negatively charged. The number of electrons in the outermost ring of the atom determines the nature of the atom. If the outer ring is full, then the atom is stable. If it’s not full, it’s reactive. The reactive atoms bond with other reactive atoms and share their electrons in order to fill their outer rings and form a stable molecule. Remember, a molecule is a collection of atoms. Sodium and Chlorine, on their own are both highly reactive atoms, but when they bond they form Sodium Chloride – salt – a stable molecule. Free radicals are atoms or molecules that are missing at least one electron from their outer ring, which makes them unstable. They instinctively look to become stable by finding electrons to fill their outer ring. They do this by attacking the nearest molecule and stealing an electron. 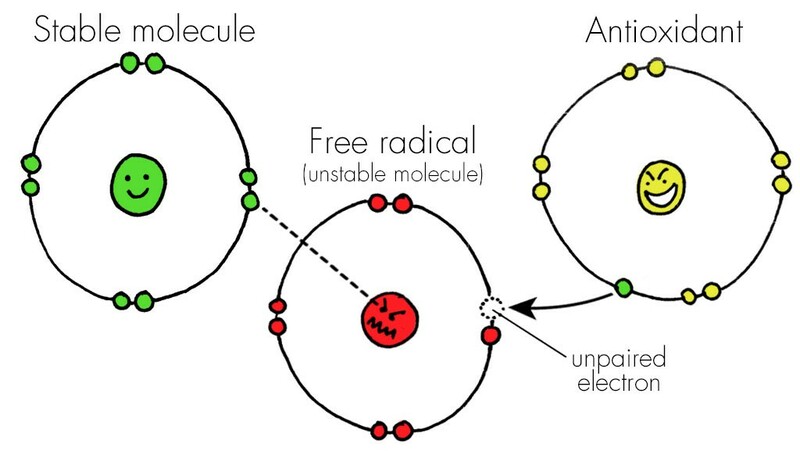 The attacked molecule then becomes a free radical itself and repeats the process by stealing an electron from the next stable molecule, which then in turn becomes a free radical. Similar to a zombie apocalypse, this chain reaction ends up damaging, mutating or destroying the cell. If free radicals simply killed a cell, it would be okay because the body could just make another one. The problem is that when the free radical damages or changes the cell’s DNA, this is the seed of cancer, ageing and many other diseases. Free radicals are continuously formed in our body as normal by-product of metabolism. Sometimes these free radicals are needed in the immune system to fight against intruders such as bacteria and viruses, but mostly free radicals can do a lot of damage. Carcinogens are loaded with free radicals and it’s these free radicals that make carcinogens so bad for our bodies. Because carcinogens are full of free radicals, we know they come from the same sources – pollution, radiation, chemicals, cigarette smoke, herbicides and so on. Here’s the good news, the body can normally handle free radicals with it’s free radical defence system. They are kept under control by things called antioxidants, which the body produces naturally and gets from food. However, if the body is short of antioxidants or if there are too many free radicals in your system, that’s when problems start. Oxidation occurs when oxygen reacts with another substance. Rust is oxygen reacting with iron. A candle burning is oxygen reacting with hydrocarbon compounds releasing CO2, water and heat. Your body cannot function without oxidation happening in your cells. Oxygen gives fire to the chemical reactions which then help the cell function properly. But if there are too many free radicals being produced and not enough antioxidants to neutralise them, this can lead to oxidative stress. Continued oxidative stress can lead to oxidative damage and chronic inflammation. That means cell damage, cell mutation and more seriously, cancer, diabetes, cardiovascular, neurological and pulmonary diseases. Antioxidants are one of the immune system’s weapons that it uses to protect the body against oxidative damage from free radicals. Antioxidants do this by seeking out free radicals and stabilising them by donating an electron and stopping the chain reaction. The beauty of an antioxidant is that it doesn’t then become a free radical because it oxides itself. Antioxidants either prevent the chain reaction from starting, or they stop it after it’s started. For example, vitamin C can stop the chain reaction before it starts by trapping the free radical and neutralising it, while vitamin E is a chain-breaking antioxidant. The main antioxidants are vitamin C, vitamin E and beta-carotene, but there are loads of others you can arm yourself with. The body can’t naturally produce these special micronutrients so they must come from our diets and, in this day and age, we need as many antioxidants in our diets as possible. However, we can’t just eat ten servings of broccoli a day and expect that to provide us with all the antioxidants we need. Instead we need to eat fruits and vegetables, whole grains, legumes, seeds and nuts that all contain different types of antioxidants that are used for different purposes and work in different tissues of the body and in different parts of cells. Making the world a healthier place through the creation of a like-minded community who share experiences, provide support and promote wellness. A community that lives and eats beautifully. Inspired by love, life, family and knowledge.